Scented jar candles can be made at home. You can probably make them for less money than what you would spend to buy them in a store if you use them regularly. They also make thoughtful homemade gifts for special occasions and holidays. Once you have the supplies, you can make batches of many candles at once, and have aromatic jar candles all year-round to decorate and scent your own home and to give as gifts. Pour wax flakes into a glass container. Place the container in the microwave, and melt the wax to about 160 degrees Fahrenheit. Alternatively, you may melt the wax in a wax warmer to make a larger batch. A wax warmer is a more expensive piece of equipment and is not necessary, but worth it if you make lots of candles. You will be able to keep the wax at the desired temperature without heating it again. If desired, add a few drops of dye to the wax while at 160 degrees Fahrenheit and stir. Add a few drops of fragrance oil to the wax and stir. 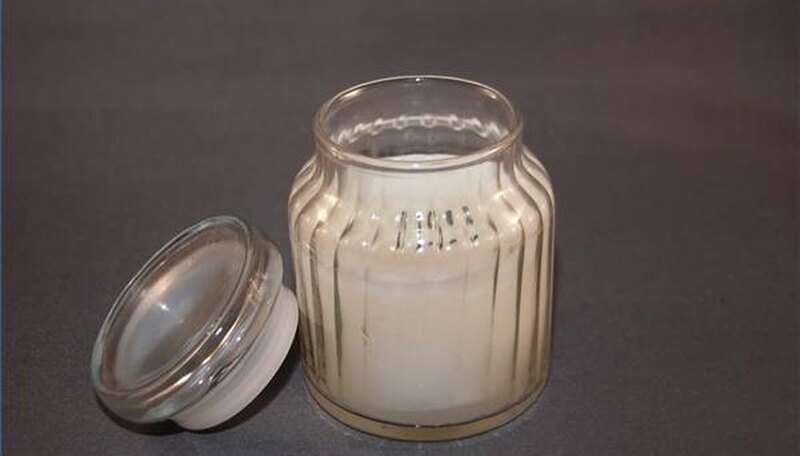 Place a wick in the center of a jar with a wick holder. This holds it in place until the wax cools. Pour in the melted wax and let sit until hard, usually about 24 hours. Kits with all the candle-making supplies you need are available online.